By this time in Arkansas, folks are neck-deep in spring. But here in Kansas City, we have a winter that refuses to die. At the start of the weekend on Friday, it was 88 degrees. By Sunday, we had snow. What’s a man to do when the temperature drops and he’s forced indoors by Mother Nature’s torment? 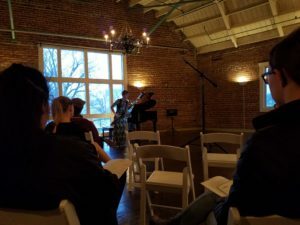 I went over to Californos Westport with my friends Tyler and Daniel, and attended my girlfriend Rachel’s Bassoon recital. She played so great, and then afterwards, of course there was wine and cheese! 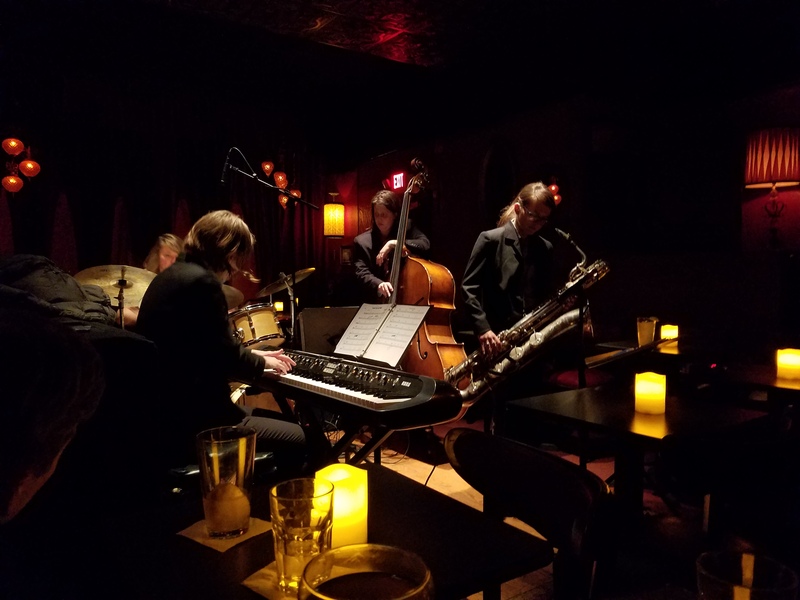 So we may have had too much bubbly and stumbled (via Uber) to the Green Lady Lounge and chilled out with the The Natalie Bates Quartet.